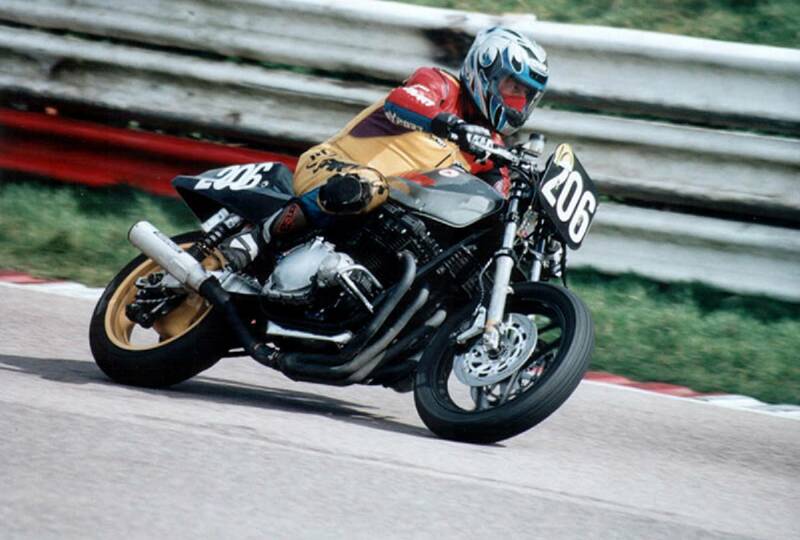 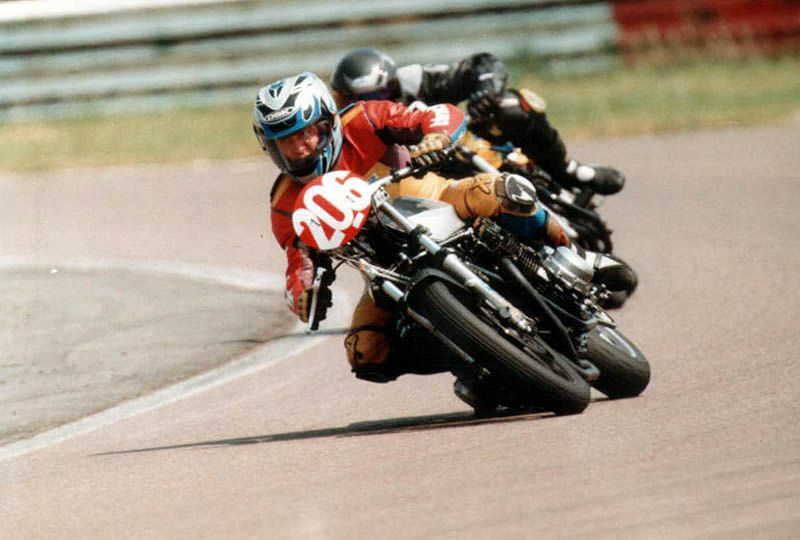 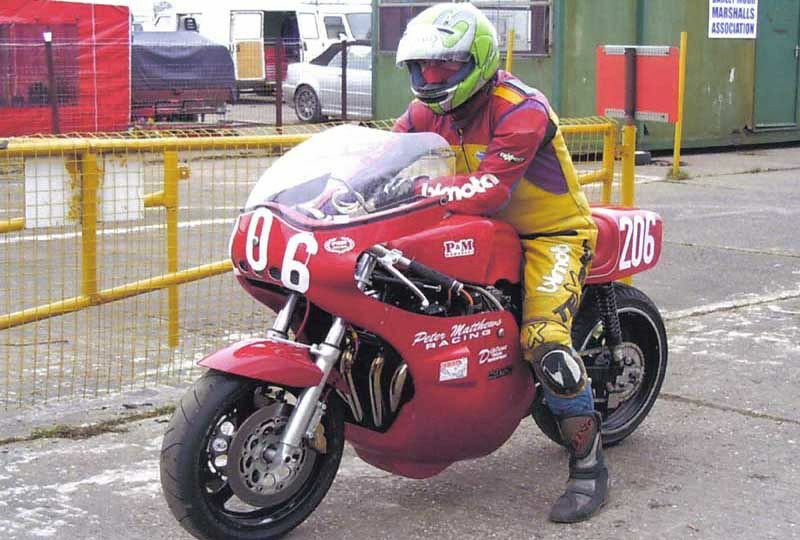 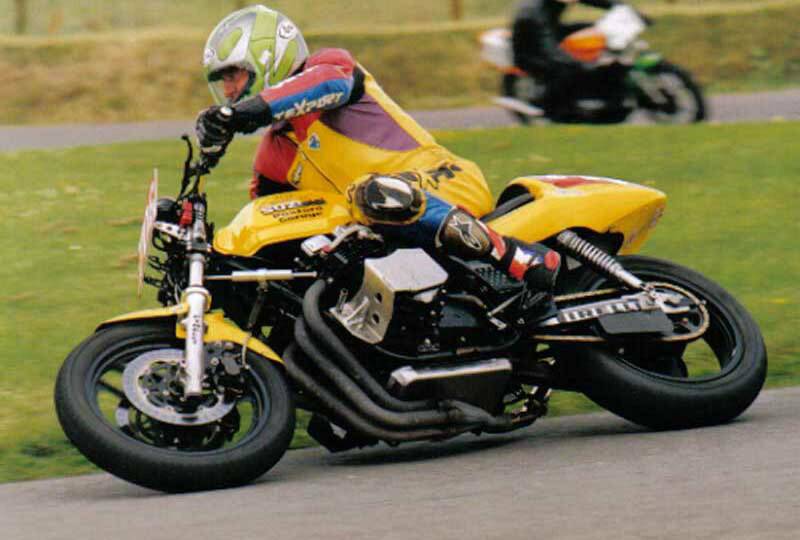 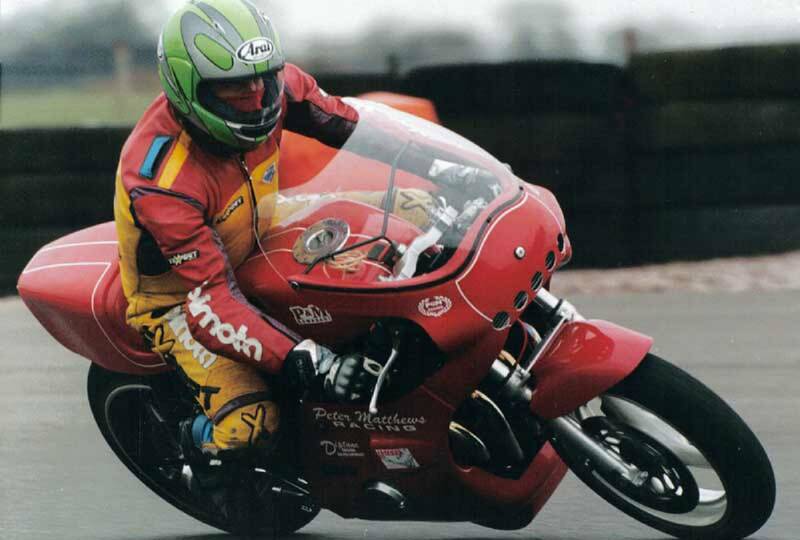 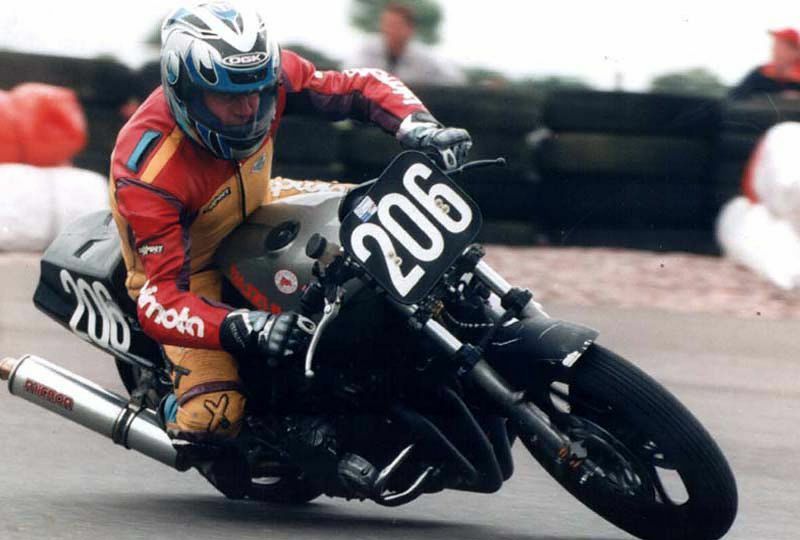 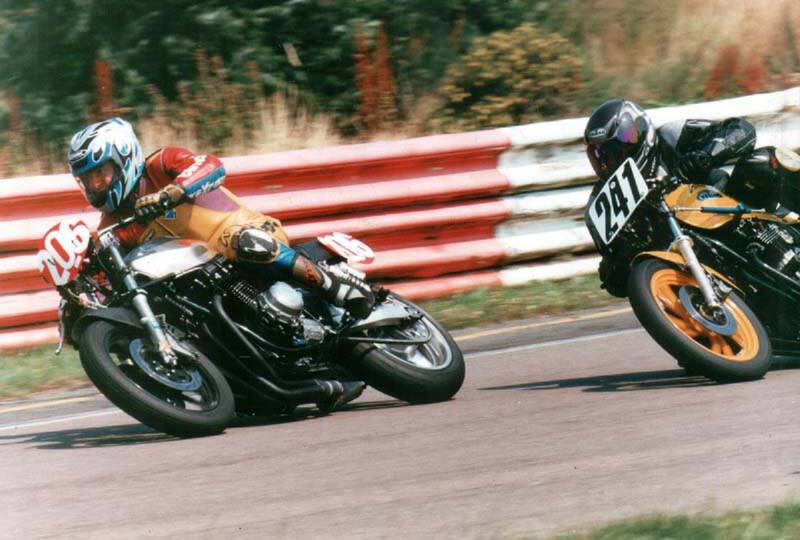 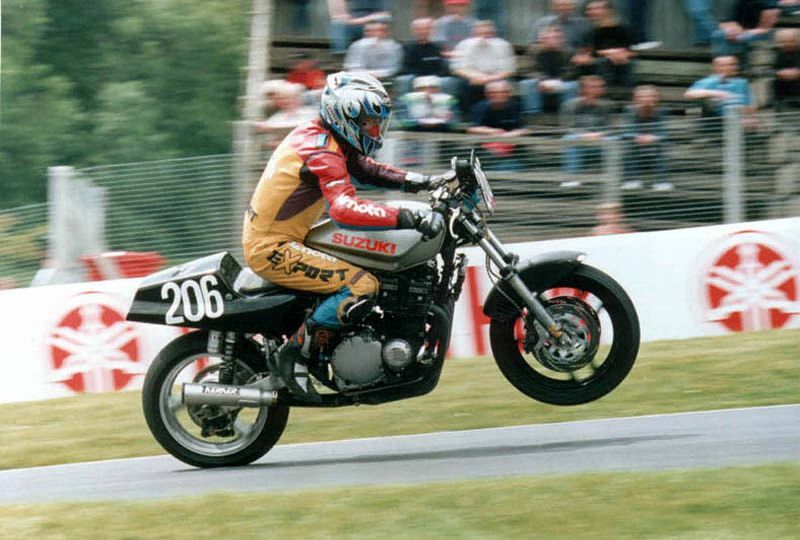 Clive Wadey, the owner of Paxford Garage, competes in motorcycle road racing events around the UK, competing in the Early Stocks Championship and Forgotten ERA Championship on a Suzuki Katana 1170cc and Classic Racing on a P&M Z1000 and a Harris Z1000. 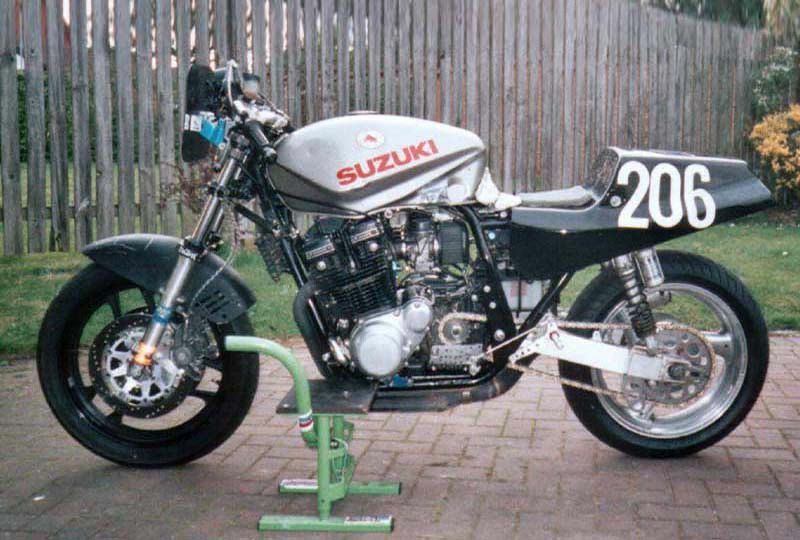 Suzuki GSX Katana 1170cc, 18" front wheel, 17" rear wheel. 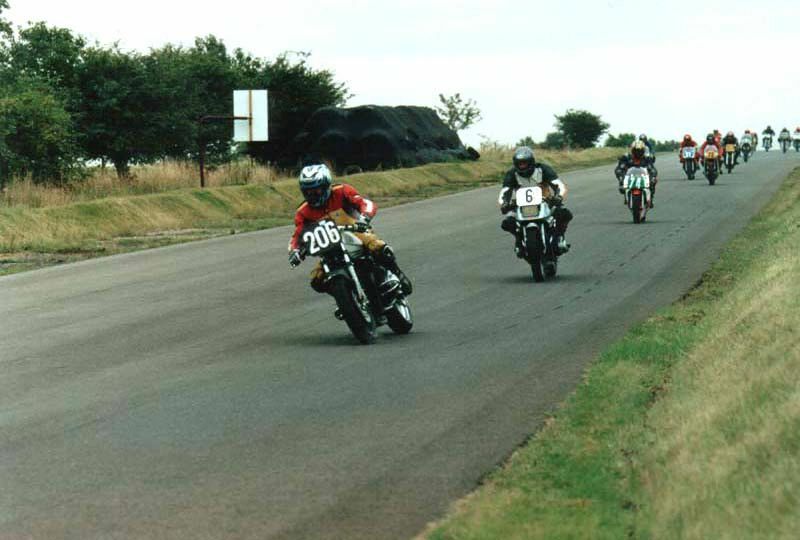 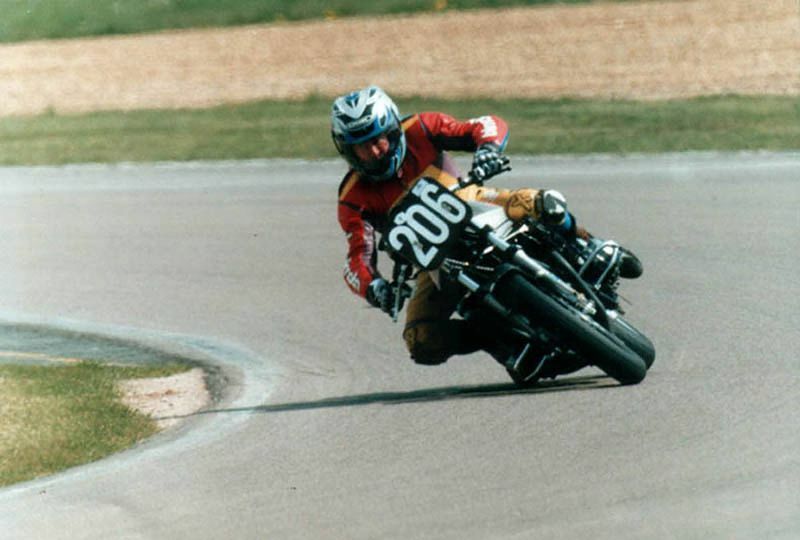 Raced TZ Yamaha's on airfield circuits some years ago. 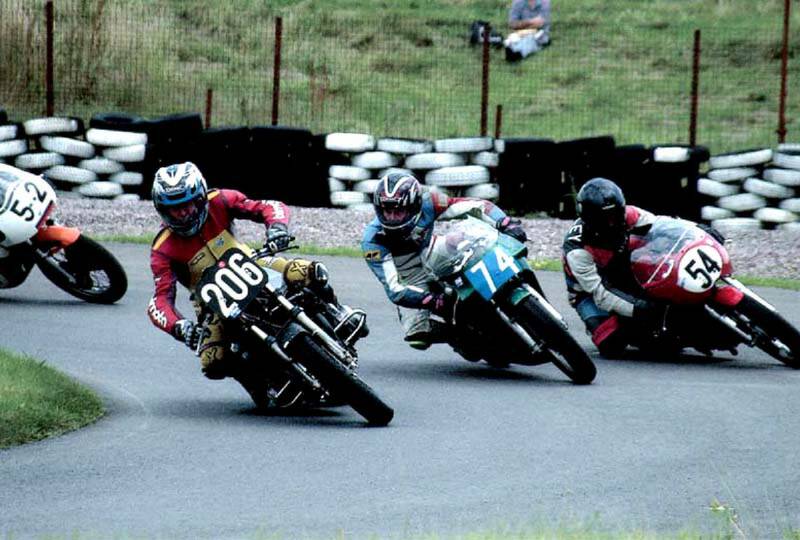 Sponsored several road racers including Sandra Barnett, Pete Barnett and Phil Weston. 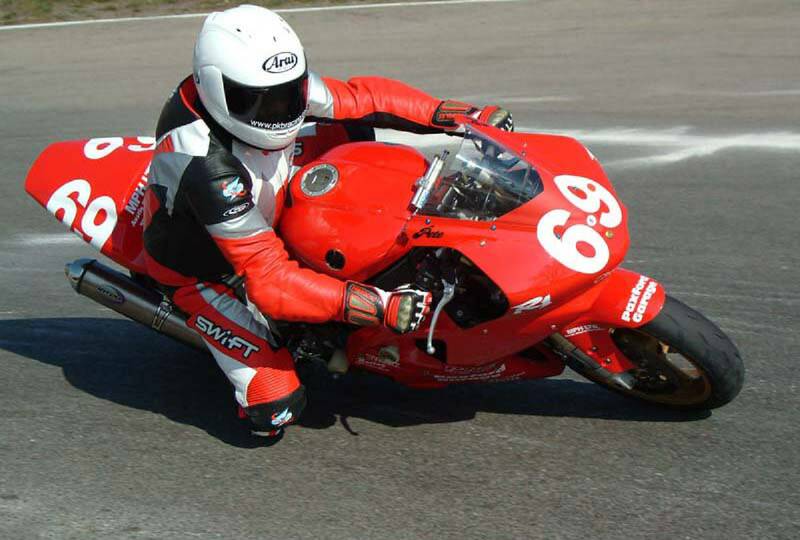 Started Racing again in 2000 in Earlystocks championship. 2nd in Derby Phoenix Early stock Championship 2002. 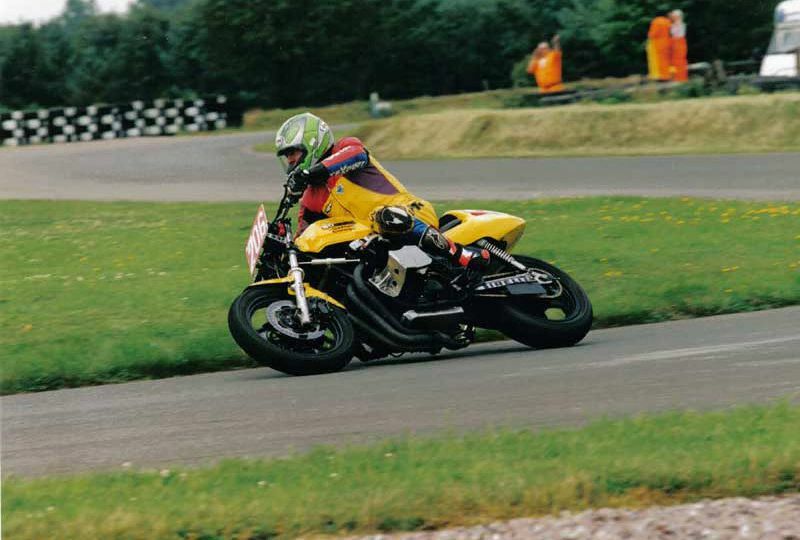 1st in 1300cc Earlystock Championship 2004. 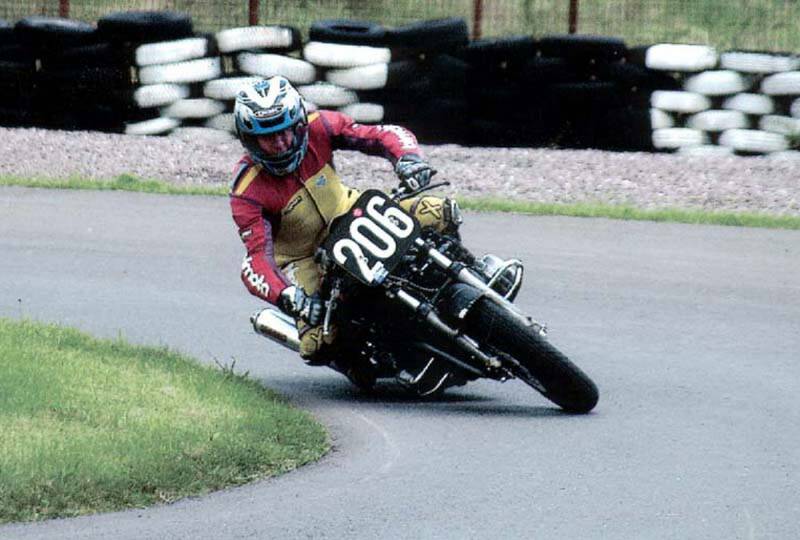 1st in EMRA Mallory 1300cc Earlystock Championship 2004. Raced Motocross from age 10 until 21. 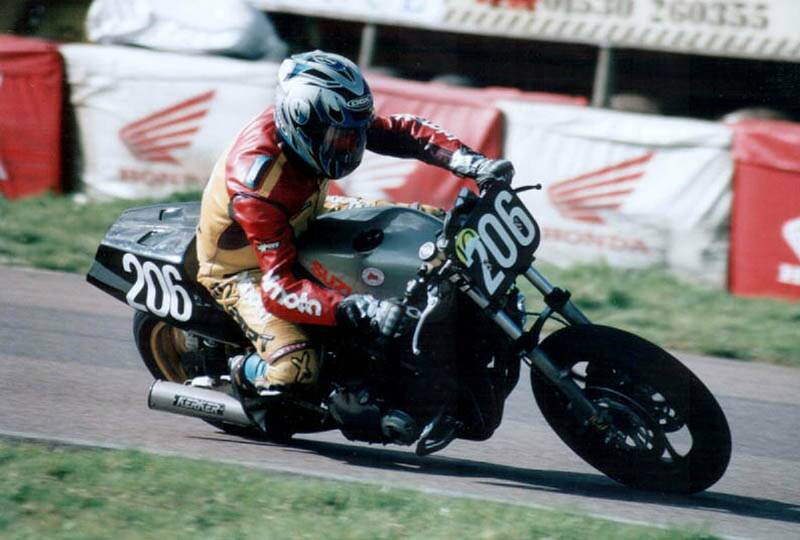 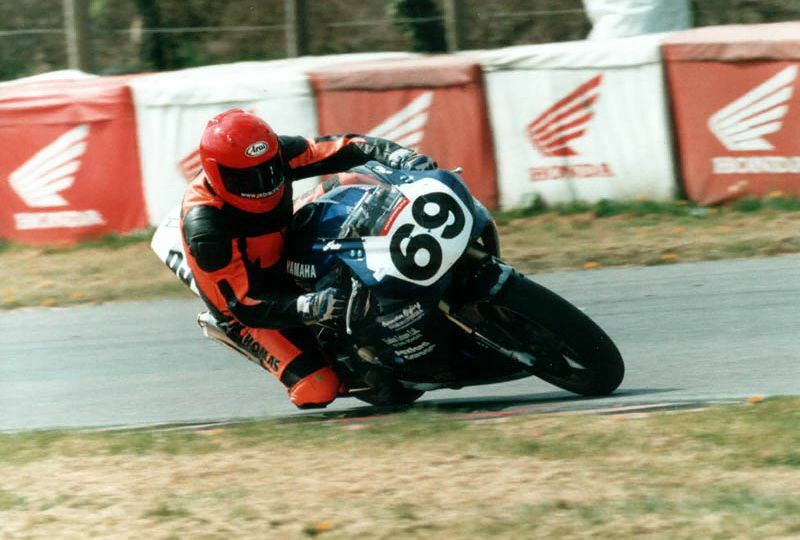 Messed with car racing, road bikes and family and started road racing in 1998 on CBR600. 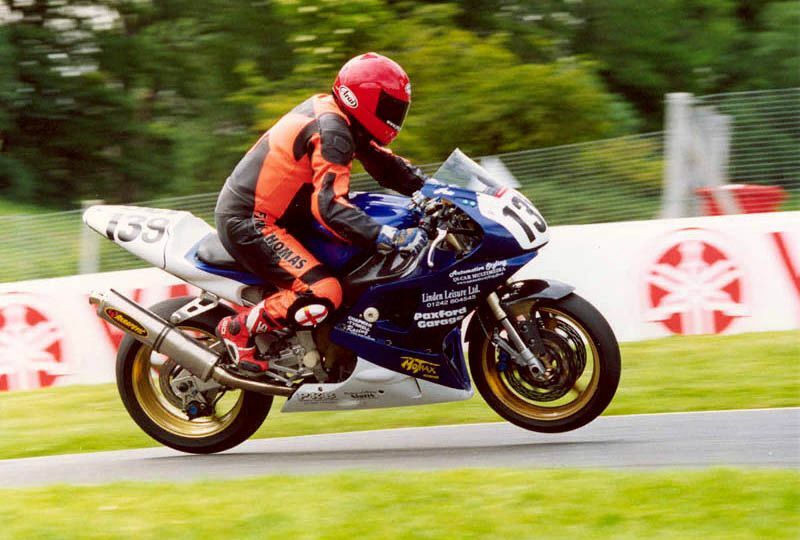 Bought Yamaha R1 from Clive in 2001. 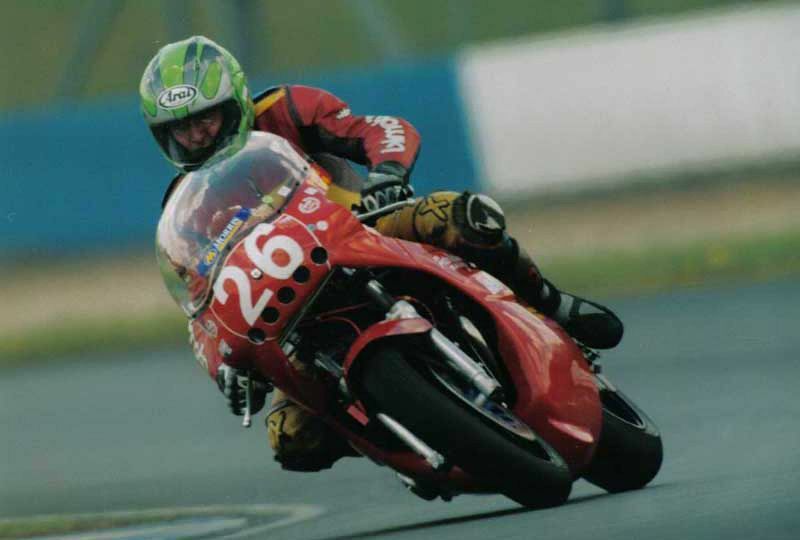 Three 2nd places in 2002 but season ended due to broken leg in September. 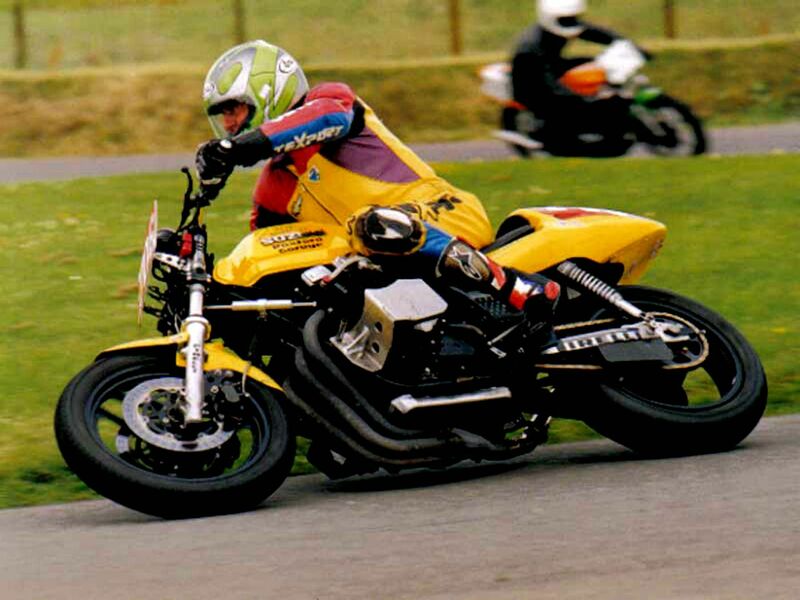 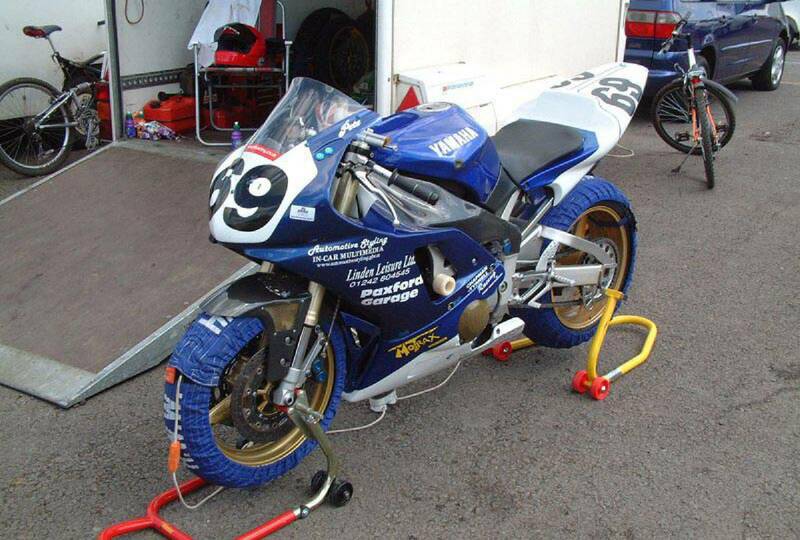 2003 Season also racing the Paxford Garage sponsored Yamaha XJ550 in the Earlystock events.